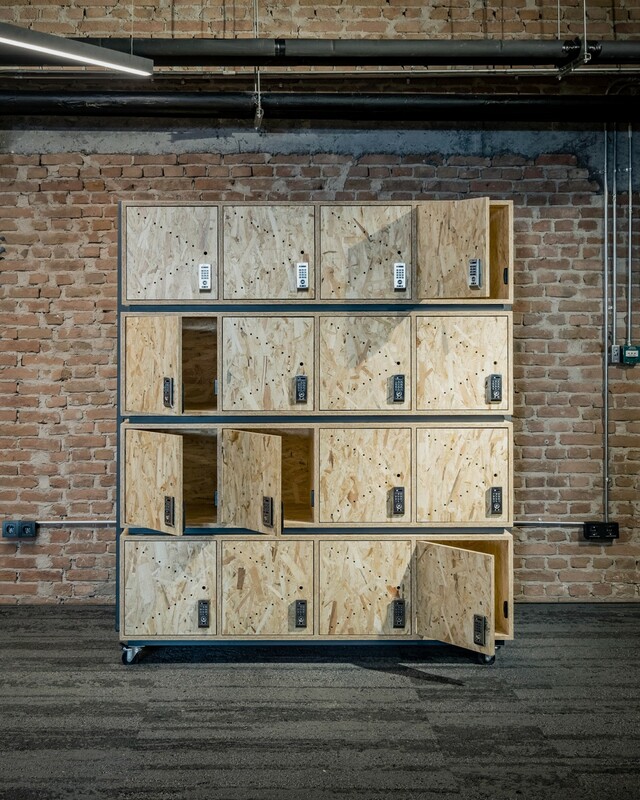 X Locker can be used as a stand-alone item or combined with other units, thanks to built-in wheels. Moreover, with its modular design, it is possible to order this product with different amount of locker units. Modules are made of recycled OSB and box metal profiles. Please contact us for keypad options.